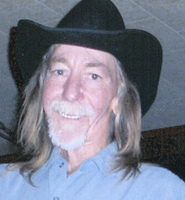 Jerry Lynn Cottrell age 54 of Monticello, Indiana passed away October 21, 2009 in his residence. Born October 18, 1955 in Frankfort, Indiana to Chester & Mary (Bonham) Cottrell. He was a graduate of Frankfort High School in the class of 1973. He married LaBrenda McGlothlin and they later divorced. He was a member of Teamsters Local #274 and had previously worked for Milestone and worked the past several years with Rieth-Riley Construction Company. Surviving are his mother of Frankfort, a son, Joshua Cottrell of Anderson, a daughter, Regina Cottrell of Lafayette, 3 grandchildren, Jeri Lyn, Dilan, and Ava. 1 sister, Carolyn Martin (Chris) of Frankfort, and 4 brothers, Larry Cottrell (Terri), Charles Cottrell (Susie), Randy Cottrell (Tina), and Eddie Cottrell all of Frankfort. 2 nephews and 8 neices also survive. He was preceded in death by his father. ;Funeral services will be held 10 AM Monday October 26, 2009 at Archer-Weston Funeral Home. Burial will follow in Bunnell Cemetery. Friends may call 2-6 PM Sunday at the funeral home. Memorials appreciated to Clinton County Cancer Fund.